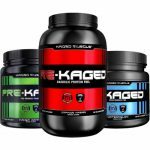 Kaged Muscle Save $60 or more 2X4LB KASEIN for $66 Shipped! 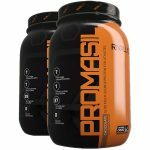 Vitamin Shoppe is running a BOGO 50% OFF KAGED MUSCLE supplement line plus you can stack it with an extra 15% OFF $75 with code SUNNYDAY. And, shipping is free over $25! The sale includes ALL the Kaged Muscle Product Line – AND YOU CAN MIX & MATCH ALL PRODUCTS. Apply coupon code SUNNYEXT to shave another 20% (when the total is over $75) [Everything in your cart].